Unlearning my library builds upon Read-ins research into the wider context of public and private libraries. 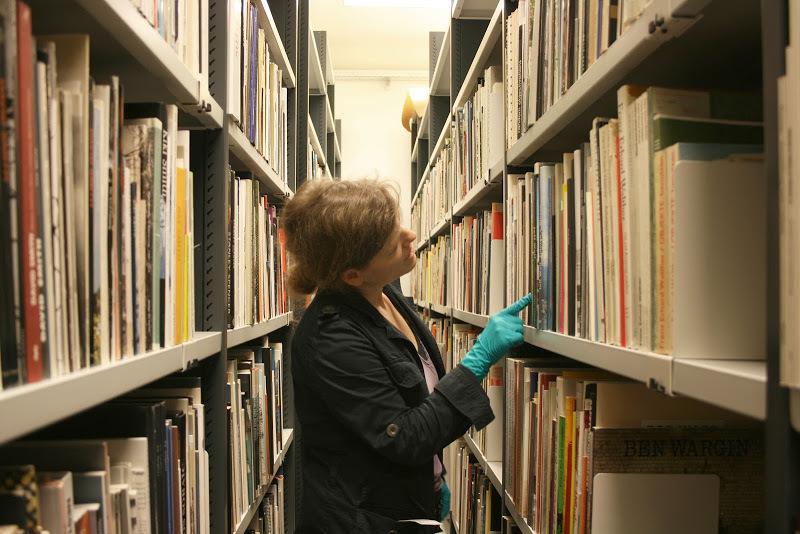 We investigate how a specific library is constituted through the physicality of reading, library etiquette, the books being read, histories of articulations within bookshelves, architecture as well as the different categorisations within the library. These aspects very often sink into oblivion without necessarily losing their agency. Read-in experiments with formats to challenge these taken for granted notions and enter a process of renegotiation. 2017 / 7 September – 15 October/ Haunted Bookshelves_In Circulation / Read-in at Hauntopia/What if? / Exhibition and Conference at Research Pavillon Venice / PhD-in-practice Academy of Fine Arts, Vienna. 2014 / 20 – 23 January / Workshop at Casco, Utrecht and SMBA Amsterdam in the context of the exhibition ‘Made in Commons’ by Stedelijk Bureau Amsterdam and Kunci Yogyakarta.